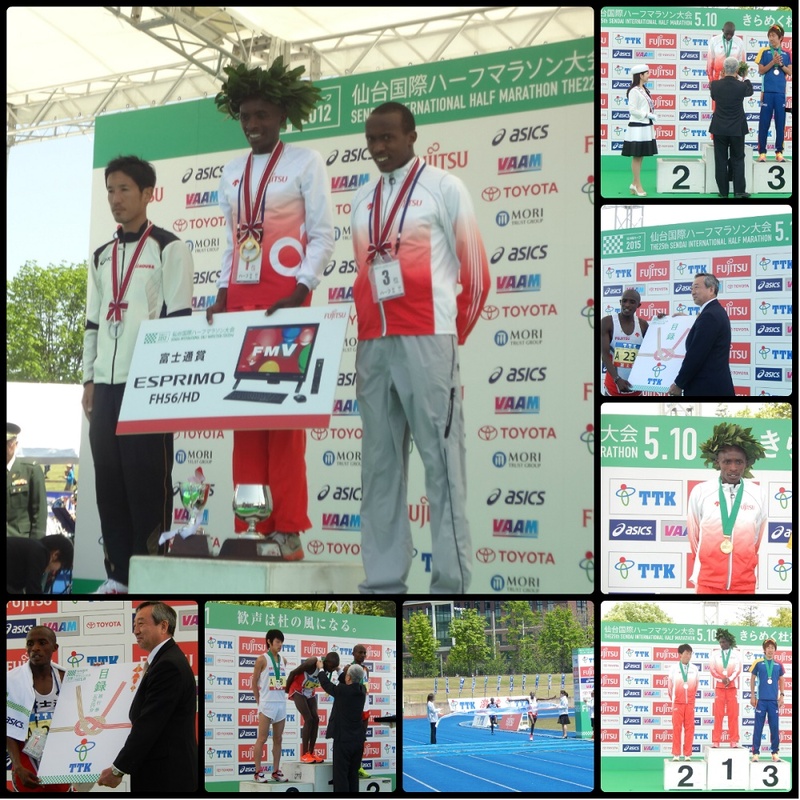 Johana Maina came to Japan from Kenya in May, 2012. In a few days (after his arrival), he ran in the Sendai International HalfMarathon 2012 and won in 1:01:34, in the country where the weather and language are completely different. It was an excellent run, almost two minutes faster than Arata Fujiwara（1:03:32） and Yuki Kawauchi（1:03:49）, two of the best runners in Japan. This remains the third-tie record in this competition. 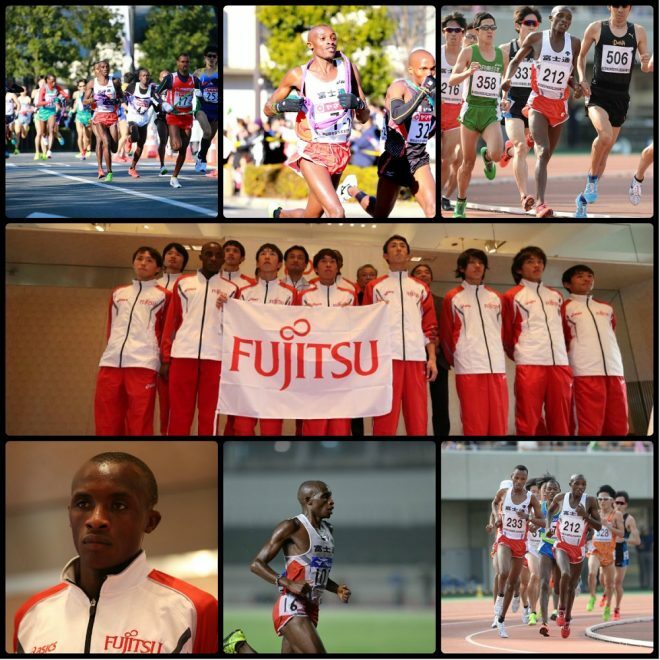 After the spectacular debut, Johana Maina became a strong foreign helper for the Fujitsu Track and Field team. He worked hard with Gitau Daniel, who was from the same province, and ran splendidly in the East Japan Industrial Ekiden and New year Ekiden. He ran the international section, and ran neck and neck with the big-name foreign runners from each team. But just as big was what he brought toFujitsu Track and Field team with his cheerful character. He was easily accepted by the team because of his friendly personality, and his sincere effort and attitude for win instilled in his teammates the desire for victory. 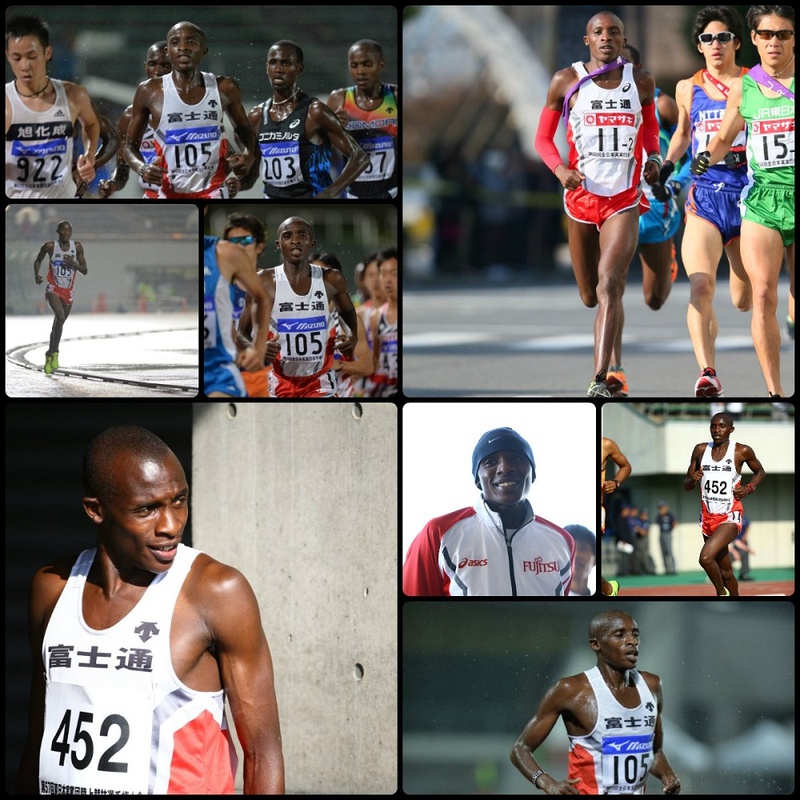 During the East Japan Industrial Track and Field Meeting in May 2016, Johana Maina withdrew from the final of 5000m race because of his painful foot. However, he continued to support his teammate John Maina until his withdrawal and that helped John greatly to win the race. John Maina said with appreciation, “I am really happy for my victory, and I could finish strong because Johana Maina played the part of pacemaker for me after the middle part.” Johana also congratulated him wholeheartedly for his teammate’s victory. He said, ” I had to withdraw because of the pain, but I could run for my teammate. I am personally satisfied with John’s victory.” He was the person who was pleased with his teammates’ success more than his own. Unfortunately, Johana Maina passed away in Kenya because of sudden illness. 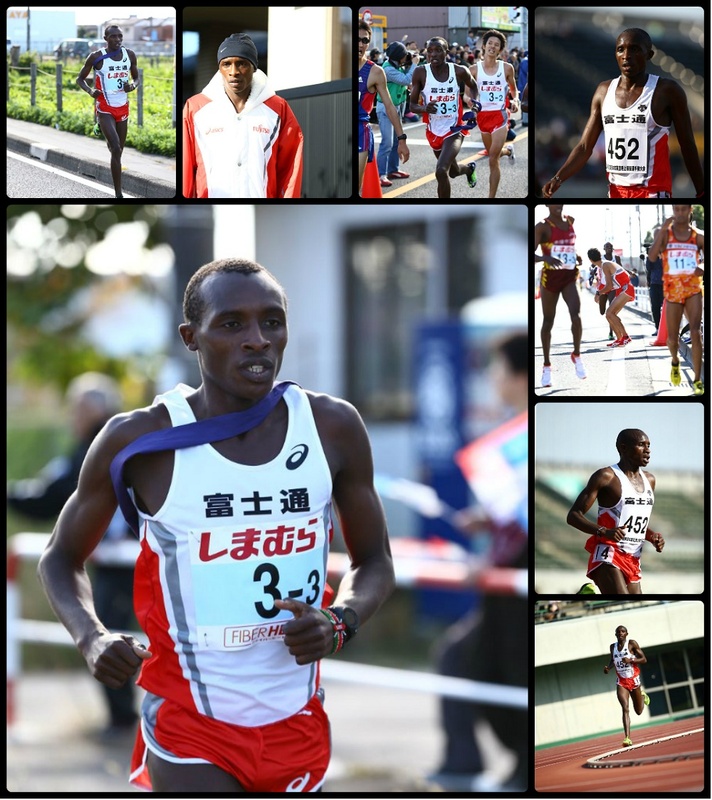 We cannot run with him any longer, but his will will live on in the tasuki (sash for ekiden-relay) he passed to the Fujitsu Track and Field team.